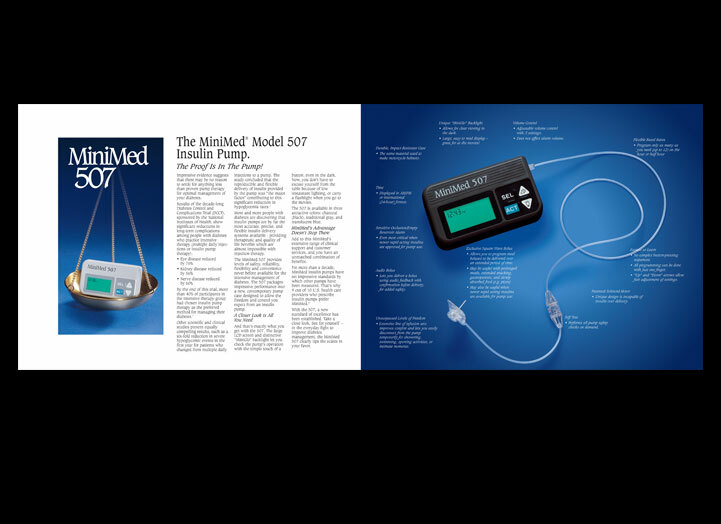 MiniMed was a medical device manufacturer that produced the first insulin pumps for diabetes management. These devices gave patients an alternative to injection therapy by wearing a small pump that provided insulin as needed. 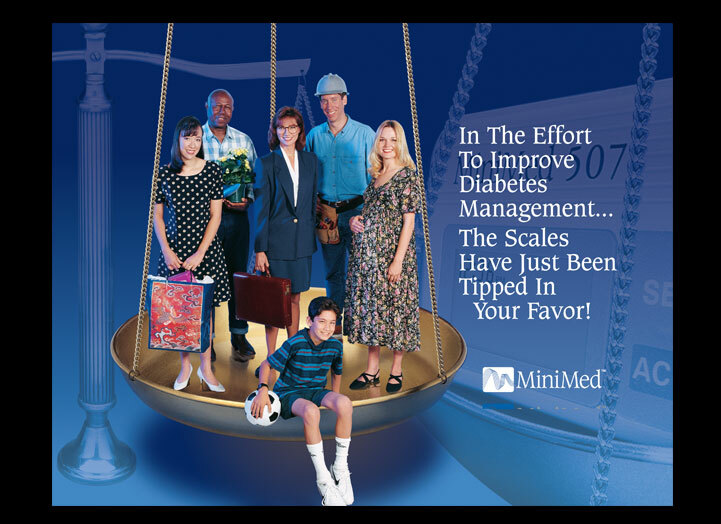 The introductory campaign featured the them of tipping the scales in favor of the patient by making diabetes management more efficient and convenient. We created the brochure for the product launch. 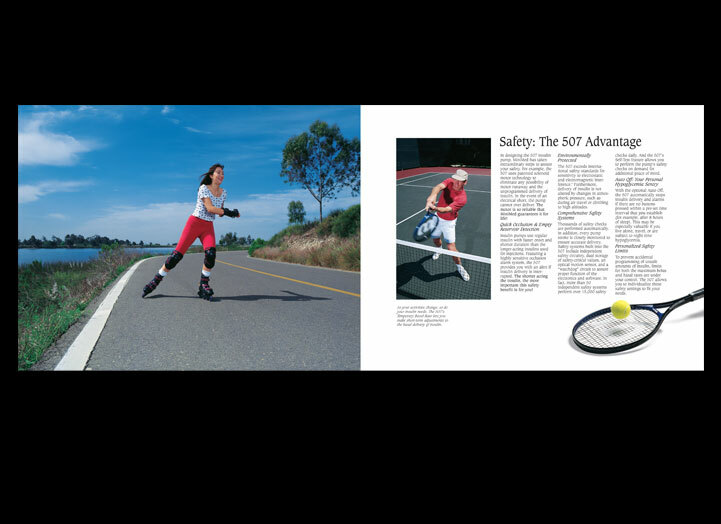 Services included print design, model selection, photo and art direction and photo retouch.